Last month I had a unique photographic opportunity. 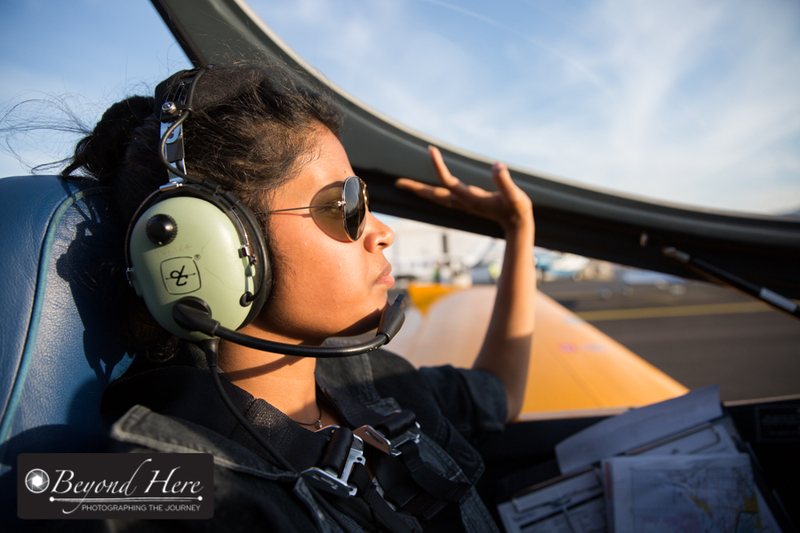 I had previously worked with a young woman who is training to be a commercial pilot. Several years ago we had done a successful stock photo shoot. 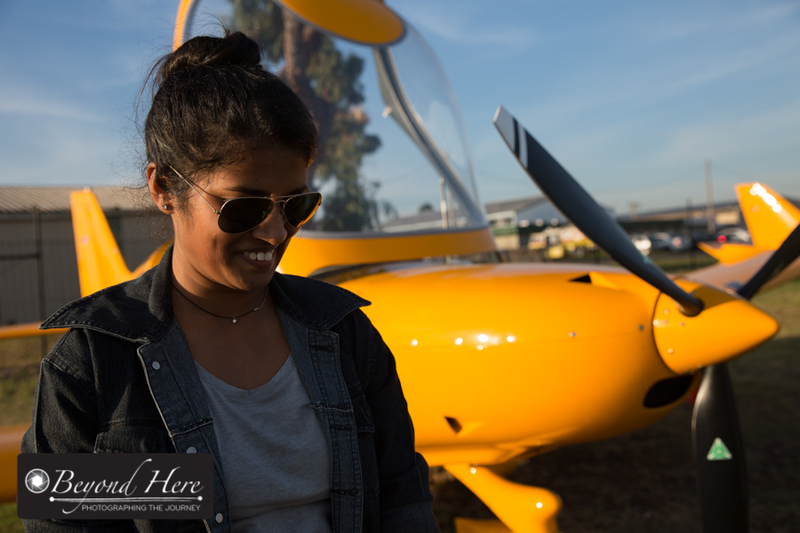 We’ve kept in touch since then, and last month she asked if I would be interested in a scenic flight over my hometown, with her as the pilot of course! I jumped at the opportunity for fresh perspectives on my hometown. Fresh perspectives on my hometown. 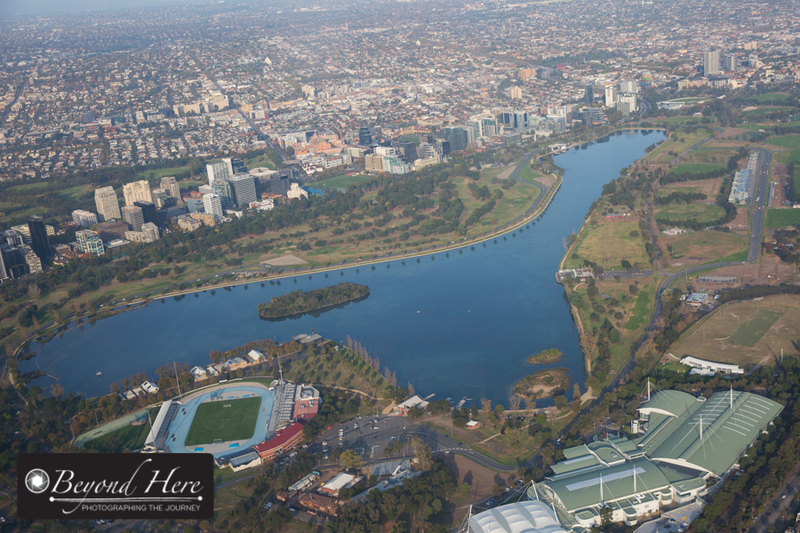 Melbourne and Albert Park Lake from 1500 feet. Flying is very weather dependent and on our first attempt we had to cancel due to the hazy conditions and their impact on visibility. We rescheduled for 3 days later, and although the conditions were still hazy, we were able to fly. 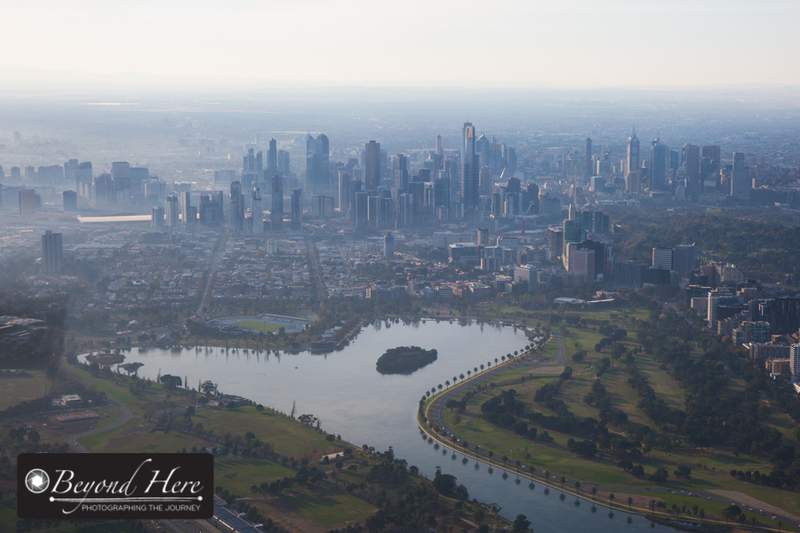 My expert pilot completed the necessary paperwork on the ground and we took off for a 40 minute flight around Melbourne. 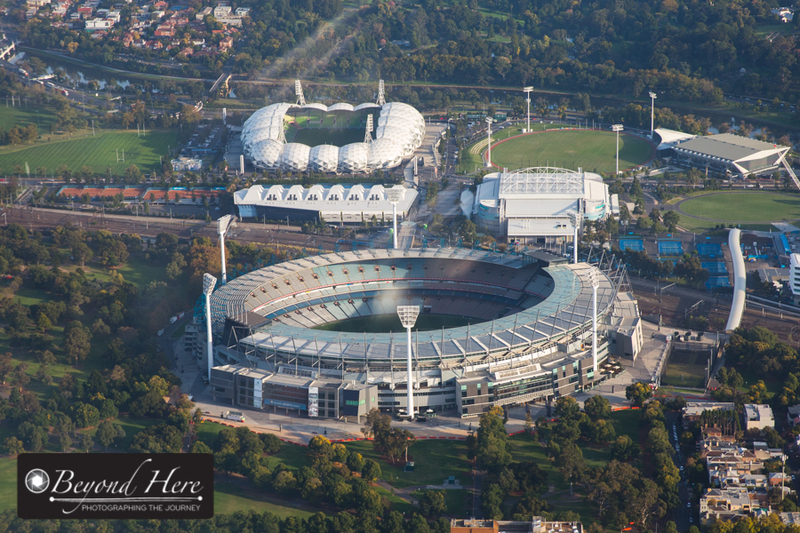 We headed from Moorabin Airport toward the Westgate Bridge, then flew around the north side of the city including great views of the MCG and Melbourne Park. We completed this circuit twice. I was grateful for several delays as air traffic control asked us to circle more than once. It gave me the opportunity to photograph the views, and the pilot in action. I shoot a lot of Melbourne lifestyle stock images and seeing the city from above was unique. I appreciated the fresh perspectives on my hometown. It was refreshing to shoot content which was completely new to me. On reflection, it is easy to get into a photographic rut where we shoot similar content all the time. I find this with wedding photography and also with my stock photography. Do you find this too? It was good to shoot something new – something I didn’t know well. It was refreshing to be a ‘beginner’ at aerial photography and to see things in an entirely new way. Making multiple laps of the city gave me time to experiment with several angles and subjects. It was fun. This gave me fresh perspectives on my hometown. Do you need a fresh perspective? Have you considered shooting something completely new? Regular readers of Beyond Here will know I shoot a lot of kids basketball. I find I can get into a rut with basketball as well, as I know the game well and know the best spots to position myself. This week I’m going to shoot something new again – a gymnastics competition. I’m fully expecting that being a beginner at gymnastics photography will be fun and will help me experiment in ways which will help the other shoots I do. Thanks for reading fresh perspectives on my hometown. I hope you can find something new and challenging to shoot this week. Have fun! This entry was posted in Craig's Comments and tagged aerial photography on May 21, 2018 by Craig Dingle.